Line 6 enters the Bluetooth era with the new AMPLIFI series, which combines multimedia speakers and a modeling combo in a single box. In order to counter the successful Yamaha THR10 and THR5 "coffee table amps," Roland announced the launch of the Cube Lite during the last NAMM, which extends the well-known Cube series. Modeling technology is trendy and Fender is all for it! 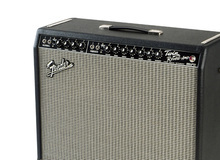 That's why the famous manufacturer has now launched two new amps under the name Mustang. Conceived to provide all beginners with a wide sound range and modern features, their price is absolutely unbeatable. So, did Fender win its bet?